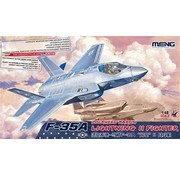 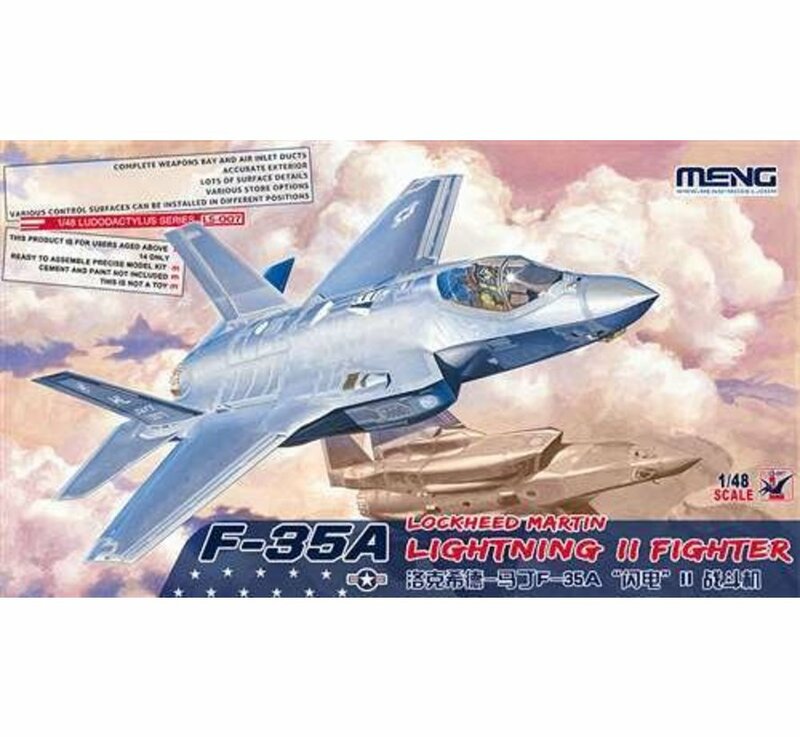 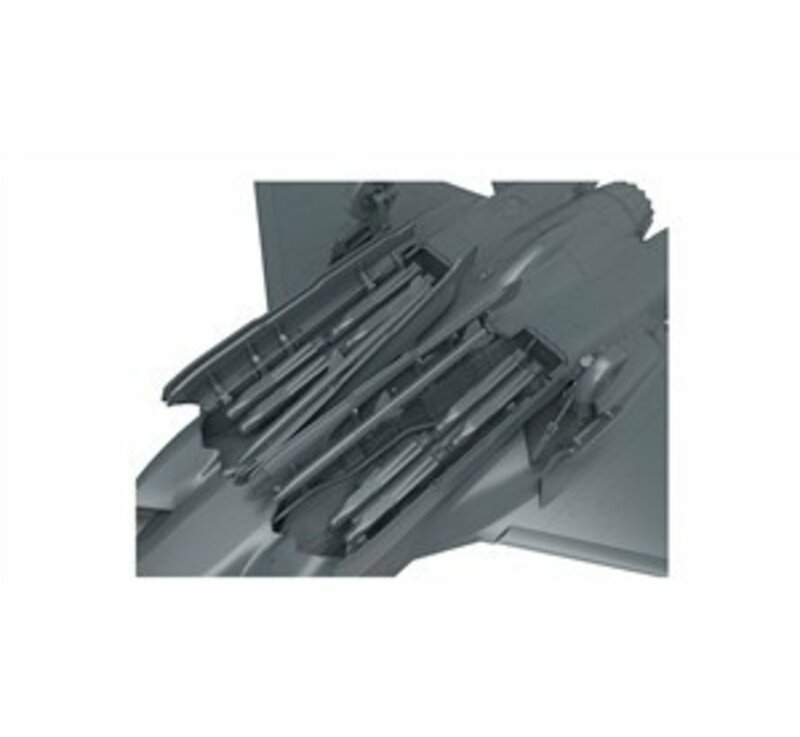 Plastic model aircraft kit of the Lockheed Martin F-35 Lightning II. 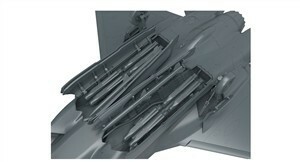 A family of single-seat, single-engine, all-weather stealth multirole fighters. 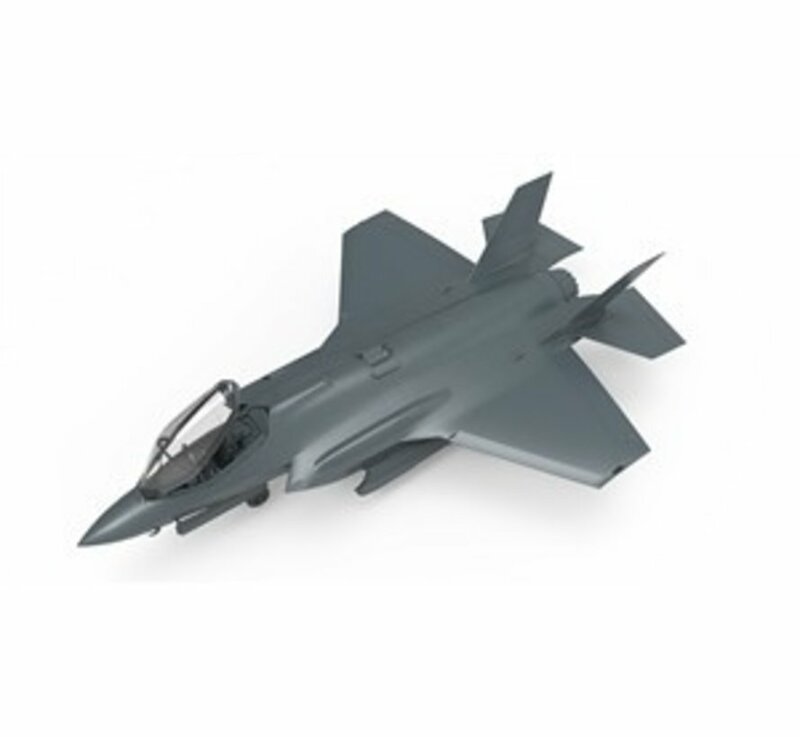 The fifth-generation combat aircraft is designed to perform ground attack and air defense missions. 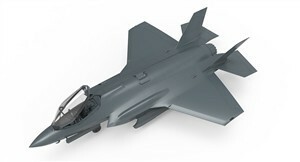 Kit has fine engraved and raised surface features, well-appointed cockpit with detailed MB Mk.16E ejection seat, detailed wheel wells and optional undercarriage, Pratt & Whitney F135 engine with intake and exhaust turbine faces, intake trunks, fully rendered dual weapon bays and doors, (x2) GBU-53 bombs and pylons, (x2) AIM-120C missiles, separate leading and trailing edge flaps, optional position canopy, photoetch (seatbelts and exhaust nozzle). 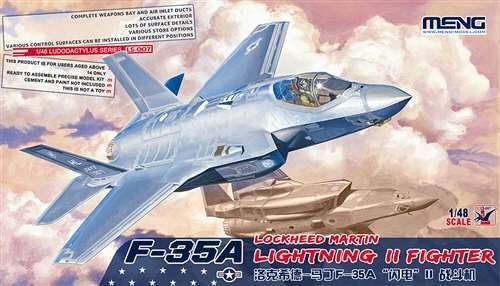 Decals and color painting guide for (2) USAF aircraft: 13-5071, 34th FS, 388th FW, piloted by Lt. Col. George Watkins, Hill AFB 2016 and 11-5033, 33rd FW, piloted by Col. Lance Pilch, Eglin AFB 2015 - includes stencil data, instrument panel and condoles.